Wireless Networks solution from ConceptDraw Solution Park extends ConceptDraw DIAGRAM diagramming software to help network engineers and designers efficiently design, create and illustrate wireless network diagrams. TheConceptDraw DIAGRAM software helps users to quickly transit from an idea to the implementation of a wireless computer network. Sample 1. Roaming wireless LAN diagram. 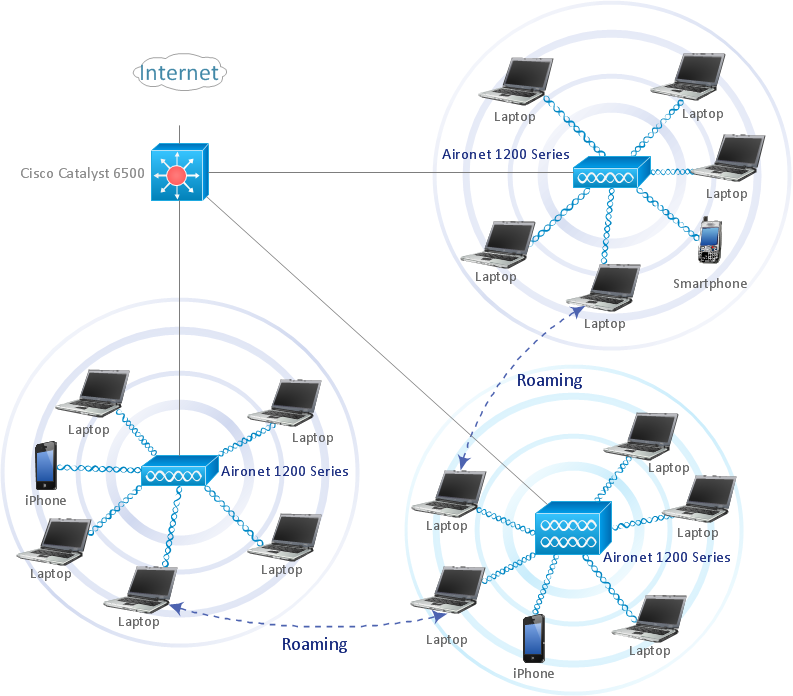 This computer network diagram example visualize topology of roaming WLAN. Wireless network diagram helps network engineer to design, mount and support WLAN or WWAN. The network engineers can use the Wireless Networks solution for making diagram of the wireless network of an office.